SY Lau, Senior Executive Vice President of Tencent and President of Online Media Group, today highlighted that the youth generation stand to benefit the most from globalization where finding solutions to global issues is of utmost importance. He underscored that the youth, being the most creative, innovative and entrepreneurial generation, should seize opportunities in this borderless world to become global citizens. 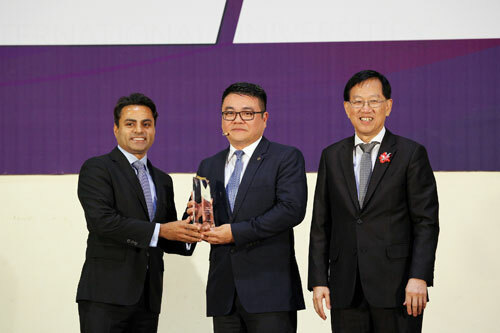 (From L-R) Rohit Sharma, CEO of INTI International University & Colleges, SY Lau, Senior Executive Vice President of Tencent and President of Online Media Group, and Mr. Tan Yew Sing, Chairman and co-Founder of INTI International University & Colleges. 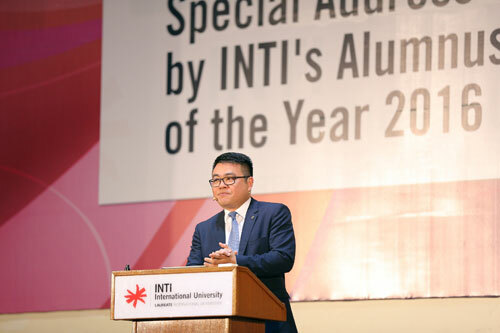 Speaking at a ceremony at INTI International University and Colleges where he was awarded Alumnus of the Year, Lau delivered a speech entitled ‘Opportunities of globalization and digital connectivity’ to an audience of industry leaders, INTI representatives and INTI students. Lau offered five lessons that in his experience, are particularly as more Malaysians move towards becoming global citizens. These are: rejecting extremism, becoming the master of technology and not the opposite, leading with integrity, collaborating rather than competing with others, and finally, embracing authenticity. “My real hope is not that you use it to exploit the opportunities offered by the new globalized world, rather, that you do what you can do to make this world a better place,” continued Lau. Today, SY Lau, a global entrepreneur, media master and technology evangelist, heads the Online Media Group (OMG) at Tencent. In 2015, he was awarded the Cannes Lion Media Person of the Year for his vision and direction in transforming OMG from a provider of a single Internet portal service into China’s largest and most admired integrated media service matrix. SY Lau presents his special address on ‘Opportunities of globalization and digital connectivity’ at INTI International University. In a welcome speech delivered at the ceremony, Mr. Rohit Sharma, CEO of INTI International University and Colleges, reiterated the importance of empowering Generation Z to thrive in a highly interconnected and competitive world. “At INTI, we understand that academic qualifications alone are not sufficient to secure careers in this globalized and highly competitive age, let alone start an enterprise or render effective change. To thrive in an interconnected and rapidly evolving world, it is imperative that students adequately equip themselves with the right knowledge and skills. They have to be well-rounded, enterprising and experienced individuals,” said Rohit. Through INTI’s industry linkage with over 400 partners across various fields, INTI students are exposed to multiple industry collaborations throughout the course of their study. Coupled with its innovative learning initiatives through the usage of Blackboard, an online learning management system and its ties with the Laureate International Universities network which gives students immense international exposure, INTI graduates have excelled over the years in their fields – a reflection of 97 percent of INTI graduates gaining employment six months before graduation and 78 percent earning salaries that are higher than the market average. 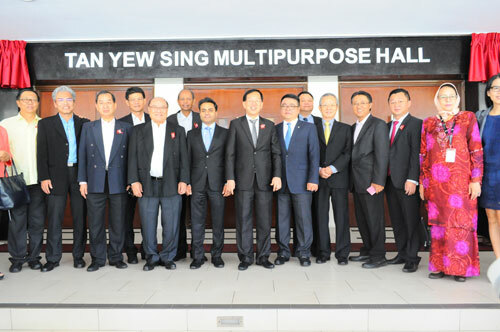 The Alumnus of the Year award ceremony also observed an official naming ceremony of the Tan Yew Sing Multipurpose Hall after Mr. Tan Yew Sing, Chairman and co-Founder of INTI International University & Colleges. 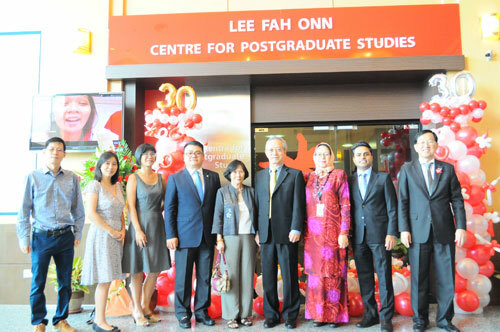 This was followed by the official naming of the Dr Lee Fah Onn Centre for Post Graduate Studies after Dr Lee Fah Onn, co-Founder of INTI International University & Colleges.